You could easily be forgiven for assuming that now the summer has come to a blustery end, that the rest of the year, and into the next, will consist of sheltered respite in museums, theatres and the sumptuous rooms of the Hyde Park International Hotel. As the autumn sets in and the sun dims, there will of course be a pulling away of the heavy sheet of summer heat, but that doesn’t mean that the great outdoors need be out of bounds. London is a city of surprising roominess, great expanses of green stretching across the city, and each with their own unique histories which invokes their own character. Into October you can expect some Indian summer promise, and what better way to see out the sunshine than with a picnic in the fresh air greenery of the city. Based in the centre of London, Hyde Park is one of the largest parks of the city. With its wide array of draws, including a natural water lido, the Serpentine Gallery and the nearby Royal Albert Hall, there’s already plenty of opportunity to enjoy the views of Hyde Park with the summers Proms in the Park, bringing the best in contemporary classical concerts to the city. 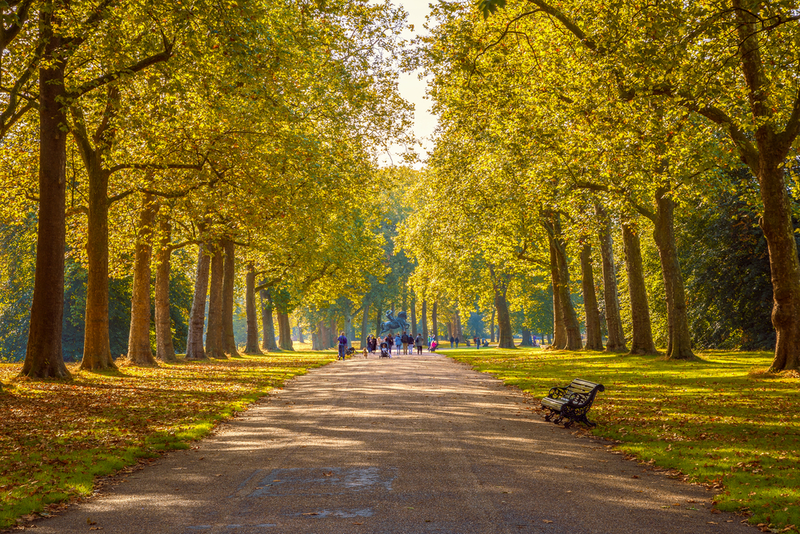 Although this will be over at the end of September, you can still enjoy the diverse plant life, lush playing fields and distinct buzz of London’s largest park especially with Hyde Park accommodation bringing great value rooms to the area, meaning that you won’t have to travel far for that perfect picnic. Greenwich Park boasts some of the best views over the London cityscape. With the jutting canary wharf and glittering central London in the distance, the quaint Greenwich area boasts not only city views, but river views as well. For a slice of maritime history, check out the nearby Cutty Sark, certainly whetting your appetite for a bite in the fields. Regents Park is already an idyllic setting for a picnic, especially with its 410 acres of space and beautiful lakes. With proximity to the city centre as well as the further side touching the edges of Camden, you’ll have plenty to do in the area after a picnic in the park. For the sandwich sweet spot and for the perfect romantic date setting, try out the iconic Primrose Hill located on the Baker Street side of the park. From atop this hill you’ll see beautiful views over the city, making it sunset spotting capital of the city. This lush expanse of nature reserve located in North London is one of the best spaces for a picnic. Rife with dense woodland, simmering, tranquil lakes and nature trails you’ll want to lose yourself in, Hampstead Heath offers 790 acres of ponds, lakes and conservation areas. As the perfect setting to get away from it all, Hampstead Heath offers many secret picnic spots, including Highgate Ponds and Kenwood House. 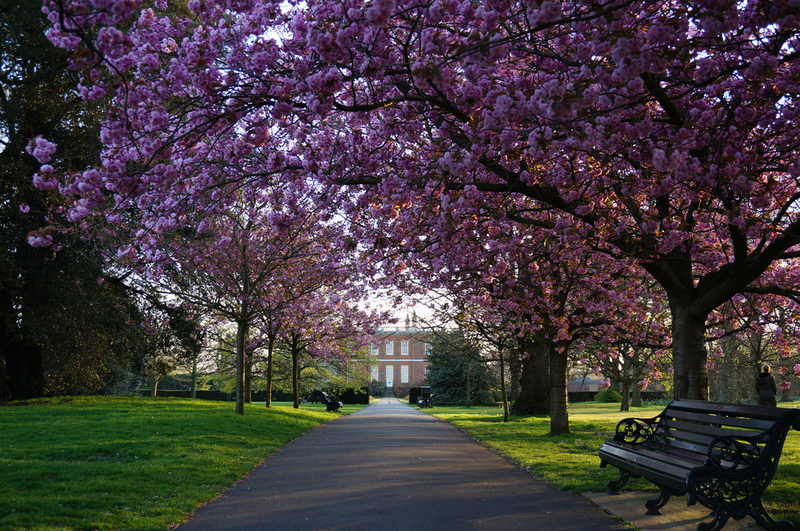 Whether you’re walking your dog or looking to get away from it all, Hampstead Heath is the perfect source of respite. Richmond Park is one of the Royal Parks of London, taking up over 3 and a half miles of space. Not only is this nature reserve originally a deer park created by Charles I in the 17th century, but it holds many secret spots, including Isabella’s Plantation, an area of dense wild flora fauna, offering a pocket of paradise in the windswept fields.